Bayfield, 4-room apartment on 2 levels on 1st floor. Comfortable furnishings: living room with TV and DVD. Kitchen (4 hot plates, dishwasher, microwave, freezer) with dining table. Bath/shower/WC. Upper floor: 2 rooms, each room with 1 double bed. 1 room with 2 beds and shower/WC. Heating. View of the sea. Facilities: washing machine, dryer. Internet (WiFi, free). Reserved parking (1 car). Beautiful, comfortable apartment block Bayfield, 2 storeys. In the district Portree, 200 m from the sea. Parking. 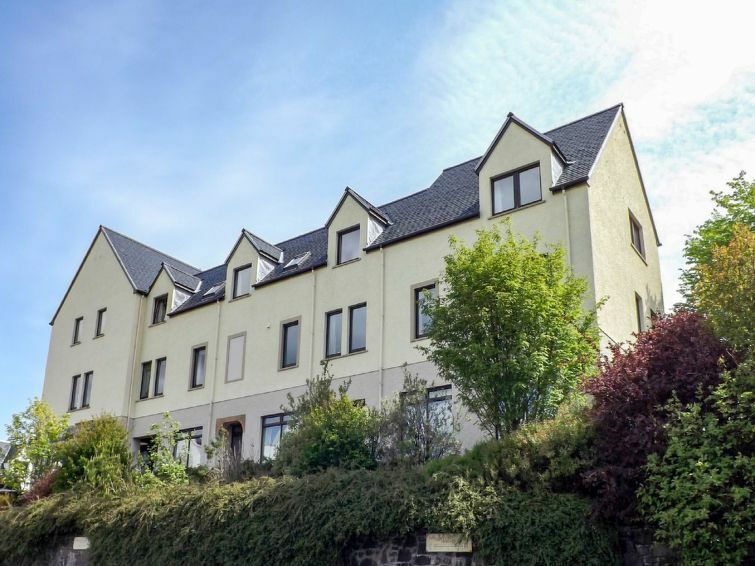 Grocery, restaurant, café 200 m, bus stop Somerled Square 100 m, ferry Uig 24 km. Golf course (18 hole) 22 km, sailing school 2 km. Nearby attractions: The Aros Centre 1 km, Ashaig Beach 46 km, Isle of Raasay 26 km, Sleat Peninsula 46 km.